I was given a PC a while back that had Windows 95 pre-installed, to be honest I never had a PC that far back, I had started out on a Mac. So it was a bit of an eye opener seeing this ancient system, to say the least. My first Windows was ME(Millennium), that came installed on the cheapest, and to be honest, the worst PC I have ever bought. How I stayed with Windows after using ME, I’ll never know. Thankfully XP came along. Anyway, back to this article, having seen Windows 95 working, my curiosity got the better of me and went looking for other Windows Systems. The difference in the desktops across all the systems is amazing, the low specs make you wonder how we survived, truly the advances in Windows in over 20 years is staggering. Below are a chronological list of all Windows Operating Systems, and all specs, plus a couple of useful facts. System Requirements: CGA/Hercules/EGA, MS-DOS 2.0, 256 KB RAM, and 2 double-sided disk drives or a hard drive. Still Supported? No, support ended in 2001. Info: It included device drivers for video cards, mouse, keyboards, printers and serial communications. Windows 1.0 was designed to be a total operating system, rather than being just a graphics environment used by applications. 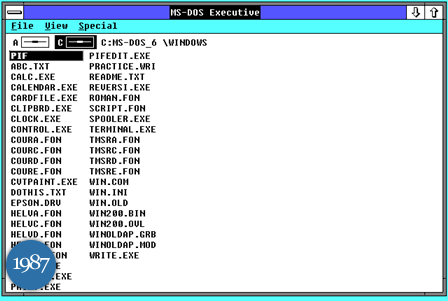 Windows 1.0 1 could not operate without DOS. System Requirements: MS-DOS version 3.0, two double-sided disk drives or a hard disk, 512K of memory or greater and graphics-adapter card. Info: This was the first the time the terms ‘minimize’ and ‘maximize’ in relevance to lowering or fully enlarging a window, also the first Windows that allowed you to overlap the windows and not tile them like Windows 1. System Requirements: MS-DOS 3.1 or later, IBM compatible 80286 or higher (386 recommended), 640K Conventional memory, 256K extended memory (XMS v 2.0 or higher), 1024K extended memory recommended on 80286, 2048K extended memory recommended on 80386, 5.25-inch (high density) or 3.5-inch floppy drive, fixed drive with 6 megabytes free (10 megabytes recommended), EGA, VGA, SVGA, XGA, 8514/A, or Hercules video card or 100% compatible card, and monitor, mouse recommended. Info: First windows to have compatibility with previous versions of Windows, it had a File Manager and a Program Manager installed for the first time (just like my 2007 Nokia phone!!! ), the truetype font added a seriously professional look that we are now used to in modern operating systems. System Requirements: 386DX or higher processor (486 recommended), 4 megabytes (MB) of memory (8 MB recommended), hard disk space required for upgrade: 35-40 MB, hard disk space required to install on a clean system: 50-55 MB, 3.5-inch high-density floppy disk drive and VGA or higher resolution (256-color SVGA recommended). Info: This operating system broke all boundaries, from the graphical interface to application support to consumer usability. It hit the mainstream because of its ease of use and pocketed Microsoft a hell of a lot (making them far too powerful, we can only blame ourselves). Windows Update was introduced, Internet Explorer was at version 4 (I wonder how CSS would look on this), we also seen for the first time the Start button and Taskbar, a feature we have now come to expect from all operating systems. It wasn’t until 1997, with Windows Update, that 95 supported USB. System Requirements: 486DX 66 megahertz (MHz) or faster processor (Pentium central processing unit recommended), 16 MB of memory, 195 MB of free hard drive space, 3.5-inch high-density floppy disk drive, VGA or higher resolution (16-bit or 24-bit color SVGA recommended). Still Supported? No, support ended on july 11th, 2006. 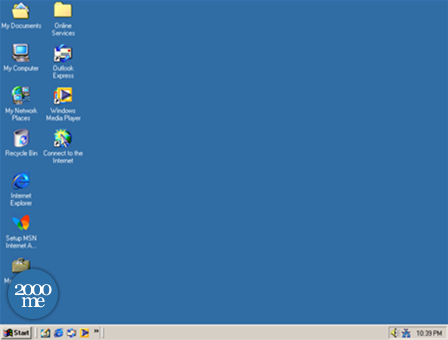 Info:This was a little more polished version of Windows 95, it had: improved USB support, the better Internet Explorer 5, Internet Connection Sharing, which allows multiple computers on a LAN to share a single Internet connection through Network Address Translation, integrated support for DVD-ROM drives. Plug and Play was first introduced (how we take things for granted). 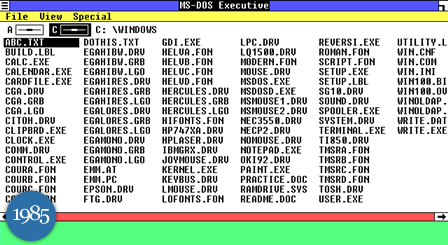 Pre-installed programs included: Disk Defragmenter, Msconfig, Sysedit and ScanDisk. System Requirements: Pentium Processor at133 MHz or greater, at least 32 MB of RAM, 650 MB of hard drive space, and a CD-ROM drive (recommended: Pentium II, 128 MB of RAM, 1 GB of hard drive space, and CD-ROM drive). Internet Explorer Version: 5.5 up to 6 after an upgrade. 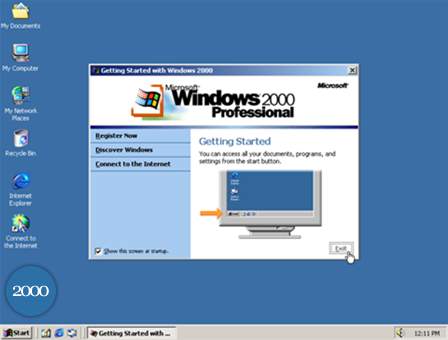 Info: There were 4 editions of Windows 2000 released: Professional, Server, Advanced Server, and Datacenter Server. Each tailored to s specific customer, primarily to the business user. Version 7.0 of DirectX came pre-installed, device manager was also first seen, as was the Recovery Console and Internet Explorer reached version 6 (we all, really, love that one). System Requirements: Minimum: 150 MHz Pentium or compatible processor, 320 megabytes of free hard drive space and a minimum of 32 megabytes of RAM. Recommended: Pentium II 300 MHz with 96 megabytes of RAM and 2 gb of free hard drive space. (Windows Me Setup application features an undocumented “/nm” switch which tells setup to ignore hardware requirements). 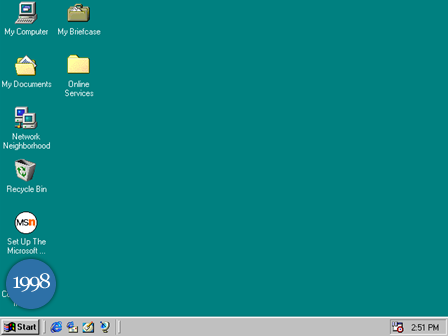 Info: Windows ME had a short life of only a year, it was bloody awful. Overall it was ranked the worst Microsoft OS release. Applications that needed DOS wouldn’t run on ME, it had instal problems, hardware or software wouldn’t run well or at a all, and getting it to stop running. It was unstable and unreliable, due to its crashes (the Blue Screen. System Requirements: Minimum: 233 MHz processor, 64 MB RAM, Super VGA (800 x 600), 1.5 GB of free hard drive space, cd-rom drive, mouse and a keyboard. Recommended: A processor of 300 MHz or higher and 128 MB RAM or higher. Internet Explorer Version: 6 up to 7. 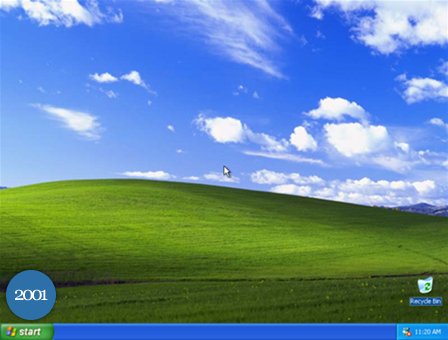 Info: Windows XP was/is a more stable and efficient versions of Windows. 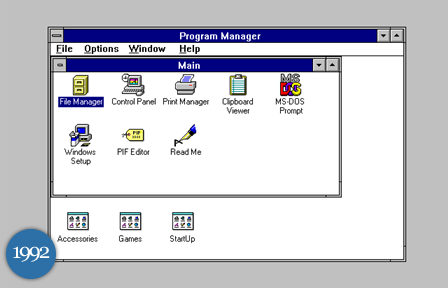 The graphical interface was redesigned; it was more user-friendly than previous versions of Windows. It could run older programs with its ‘Program Compatibility Wizard’ which allowed for an almost seamless install/upgrade. 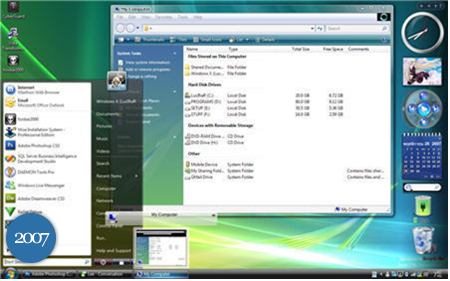 There are many versions of XP: Home, Professional, Media Center, 64 bit and Tablet. It is the most widely supported version of Windows, not only from Microsoft but also from third parties. There were three major Service Packs released (SP1, SP2, and SP3), which greatly improved security and usability. Being the most popular OS ever this opened it up to many security issues and attacks from hackers. 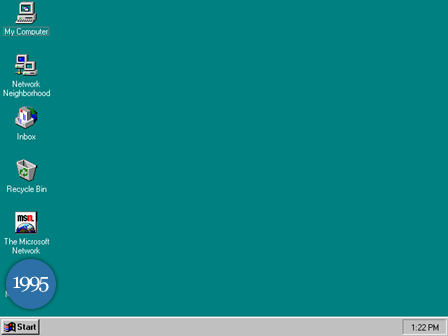 Overall this was a great leap for Microsoft after Windows ME; it shows how popular and successful XP was by the fact it had taken six years before a new OS arrived with Vista. Info: This is still a young OS, and too soon to judge it. Of course it is going to be flawed, but I think given an another year this will be the best OS yet (well, it has the potential). Name: Blue Screen of Death. Info: Not an Operating System, but I have seen it enough to make me think it was. 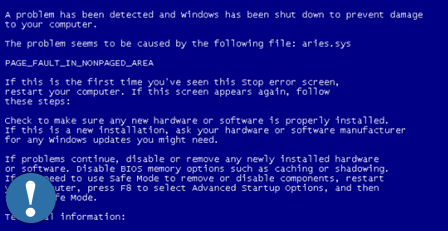 Everyone has experienced this, truly the worst thing you can see in computing…The dreaded Blue Screen of Death. Causes ranged from device drivers, faulty memory, a corrupt registry, an incompatible Dynamic-link library (DLL), the computer overheating…by blowing on it, by turning on your PC, by looking at the monitor…seemingly anything.